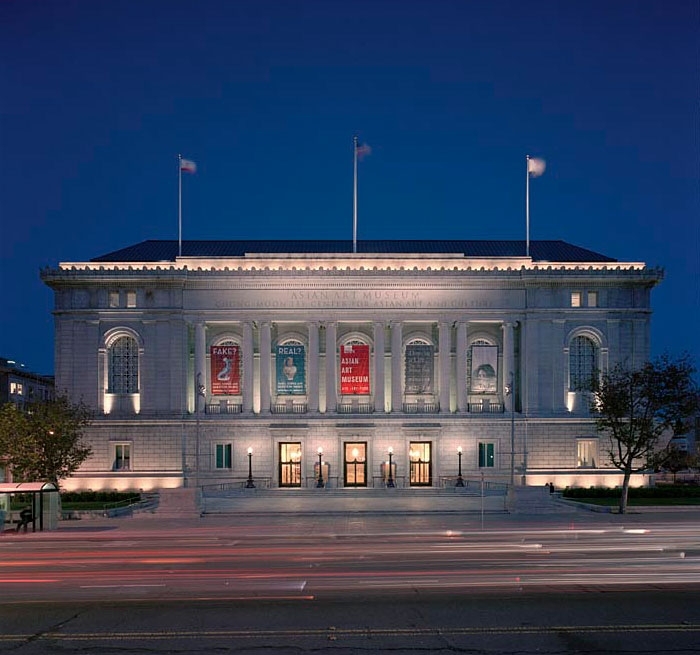 Once home of the San Francisco Main Library, the Asian Art Museum was a monumental effort to rehabilitate the formerly-condemned 1917 structure and adapt it for use as what would become one of the preeminent museums of Asian Art in the Western world. 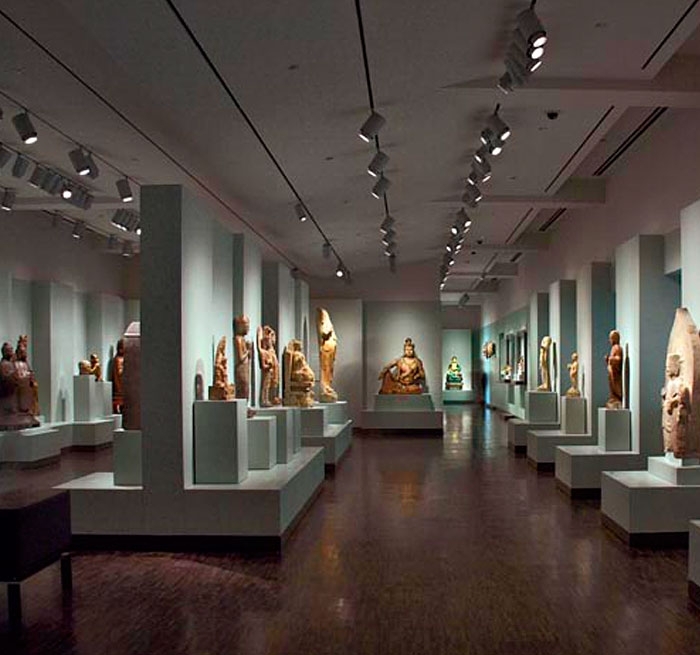 Auerbach Glasow designed the architectural lighting for the exhibit galleries, public spaces and exterior of the museum. The design challenge was to keep the historic elements while breathing life into the renovated spaces. The main entry features lighting which highlights the original light fixtures, plaster ceiling, and travertine walls, while the main stair uses dimmable fluorescent striplights above the laylights to enhance lighting for the glass art display cases in the loggia perimeter. 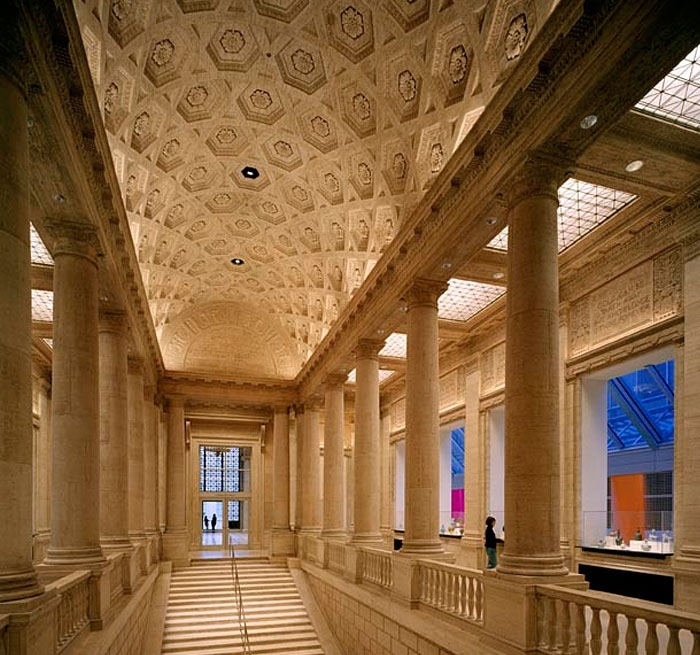 In Samsung Hall, Auerbach Glasow oversaw the refurbishment of the original three-tiered chandelier and had uplights installed to draw attention to the room’s majestic arched windows and coffered ceiling. The Central Court’s two large skylights are enhanced by uplights to emphasize the height of the space, with signature light fixtures integrated within architectural notches in the floating ceiling panels. The exterior lighting included the refurbishment and enhancement of the building façade and Larkin Street entry plaza. Architect of Record: Hellmuth Obata + Kassabaum, Inc.